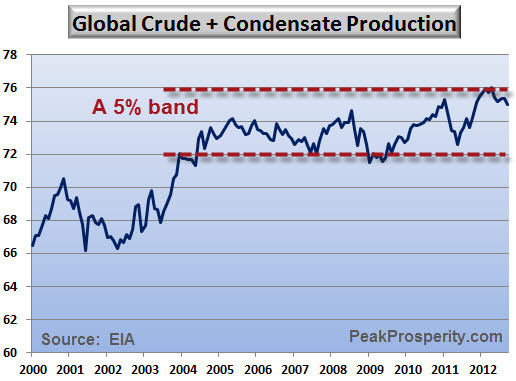 Ask the oil industry, and they will tell you that Peak Oil isn’t a theory, it’s a forecast. 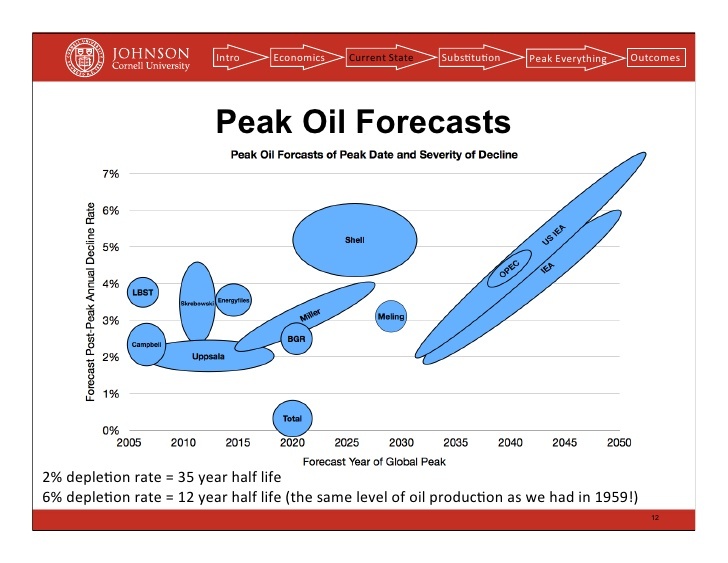 In fact, each oil producer has a different forecast for when we hit Peak Oil. So, anyone who tells you that there is no such thing as Peak Oil is either lying to you, or an idiot. But, let me pull out my MBA and tell you when we hit Peak Oil. It was probably 2005 – because it was at that point that we became unable to increase supply to meet growing demand. No matter how high the price of oil got, we were fundamentally unable to increase production. The Oil Industry KNOWS that Peak Oil is a fact, and they even forecast when that fact is going to arrive. The problem is that they have been playing games with the numbers. They’re human just like we are, and they don’t want to face awful facts. They would rather push the inevitable as far out into the future as possible. The problem is that the inevitable is already here. 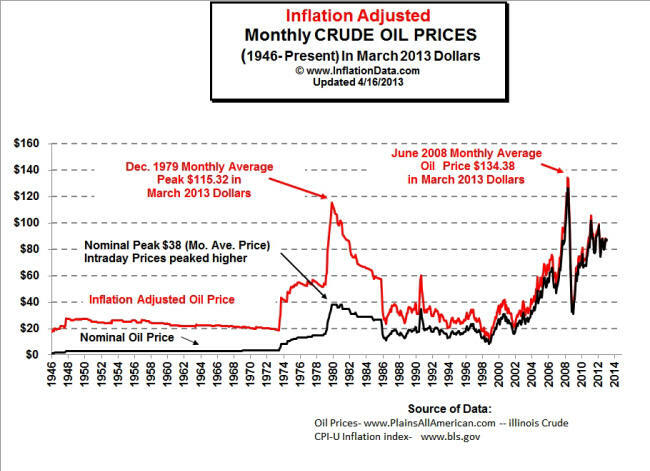 Do you see how the production of oil was unable to increase with the increase in the price of oil? They ran right into a production ceiling, and they’ve continued to run into that ceiling without raising that ceiling. 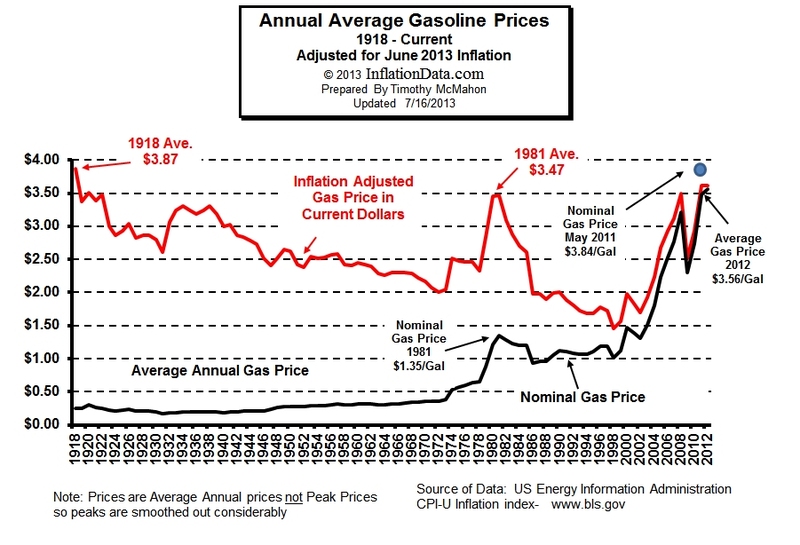 Do you also see how the price of oil coincides with the destruction of the US economy? When I returned to the United States (from Israel) in 2006, I was shocked at the price of gasoline. I knew that the US economy was not viable with the price of gasoline over $2/gallon. Sure enough, less than two years later, the economy was in collapse. One day, history will show that Peak Oil happened in 2005. The problem is that you can’t wait for historians to get around to figuring this out. You need to start doing something now. You need to grasp the implications of WHAT HAS ALREADY HAPPENED and prepare for the inevitable. Or, you can choose to suffer and die. Just remember, that when all of this comes crashing down on you, that you did have a choice and that you did choose. You really, really need to understand the implications of all this. Really.